100 Personalized Silk Rose Petals with hot foil. You choose the hot foil color and the color of the petals. 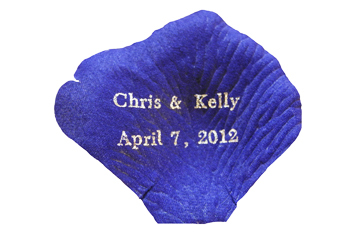 The silk rose petals can be custom printed with a short message like: I love You - or a message of your choice. Size of the petals are 2 inch.